Leading up to the event, Gulf will be promoting its sponsorship and mobile app, Gulf Pay, via social media, email, and through on-air commercials on Country 102.5. Additionally, Gulf will be choosing one lucky winner to receive two exclusive tickets and a $100 Gulf Gift Card to the sold out event. Consumers will hear details on how to enter for the chance to win on Country 102.5 in the coming weeks. "With Fenway being in our backyard, this sponsorship helps us get country fans and our local business owners excited about the brand and the summer," said Jamie Friesema, Senior Director of Branded Sales at Gulf Oil. "Through our messaging, we are able to provide New England listeners with access to the Lansdowne event and an app that simplifies their daily travel needs." Gulf will have a presence at the event through on-site marketing and will be promoting the brand and the Gulf Pay app to attendees through their street team. Concertgoers will have the opportunity to take part in a number of contests and social media experiences, as well as receive exclusive prizes and giveaways, all while listening to their favorite country artists sing throughout the day. "We are excited to have Gulf as a sponsor of the Country 102.5 Street Party. This event has become Boston's real kickoff to summer and the chance to win tickets is the perfect promotion now that the concert has sold out," said David Corey, Program Director. To learn more, visit www.country1025.com/streetparty. 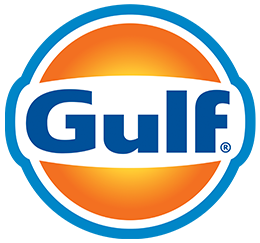 For more information on Gulf Pay and its benefits, visit www.gulfoil.com/gulfpay.